Com-Pac Yachts available at Tiki Water Sports, the largest sailboat dealer in South Florida. "I love sailing, but I hate setting up..."
The Picnic Cat is from the drawing board of Clark Mills, designer of our Sun Cat, 23/IV, and former Com-Pac 16, and well known also as the designer of the Optimist Pram and the Windmill One Design. Unlike her sister Com-Pacs the Picnic Cat has a centreboard rather than a keel. With her centerboard up, the Picnic Cat is beachable. Her broad hull form and the low center-of-effort of her gaff-rigged sail make her very stable. And her huge self-bailing cockpit and ample stowage offer unsurpassed comfort in a small, easily handled package. She's built of solid, hand-laid glass, with aluminum spars and stainless centerboard. In addition, the exclusive Mastendr™ mast raising system revolutionizes the trailer-boating experience. Clark Mills wanted to design a shoal daysailer that would rig and sail easily, quickly, and comfortably — as well as accommodate his family and friends. The Sun Cat was designed as an easily driven, roomy day boat and overnighter with a shoal draft to gunk hole along coasts and in harbors not accessible to more burdensome yachts. Outfitted with the Mastendr™ quick rig sailing system and stainless steel centerboard with fiberglass trunk, the Sun Cat will provide convenient trailering and maintenance-free enjoyment. Individuals who appreciate timeless design and quality fabrication, who wish to explore coastal waters and quiet creeks, and who demand value from a yacht, will warmly relate to the "new tradition" that the Sun Cat brings. The Sunday Cat boasts, as standard equipment, the newest version of our Mastendr™ Quick Rig Sailing System, the Mastendr Plus™. 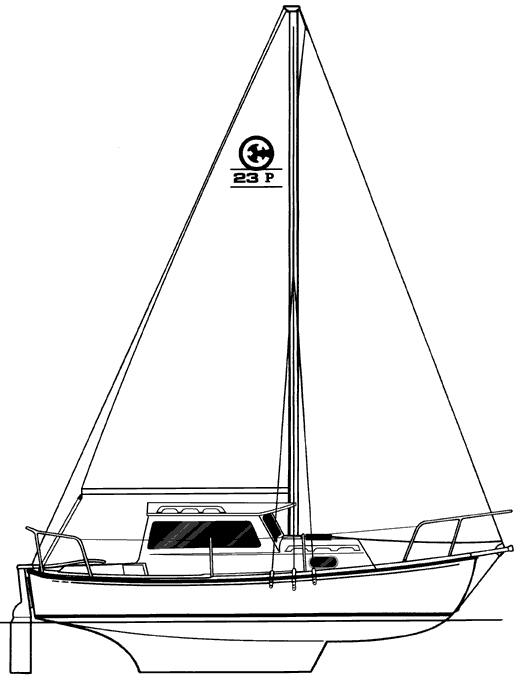 The Mastendr Plus™ allows raising the mast from the cockpit. There is nothing to attach or prepare. Simply raise the leverage yoke, pull the slack out of the line, and raise the mast as if it were a sail. The Sun Cat Daysailer is a delightful variation of the Sun Cat. With its enormous cockpit the wrap-around seating can accommodate a small party. There is plenty of easily accessible storage space, and lots of room to stretch out and enjoy the ride. The Sun Cat Daysailer boasts all of the great performance features, trailerability and same good looks as the Sun Cat. The Mastendr™ Quick Rig Sailing System is standard equipment on the Sun Cat Daysailer as it is on all of our catboats. Take the neighbors and the kids in this classically styled boat which is adapted especially for fun days on the water. In addition, the exclusive Mastendr™ mast raising system revolutionizes the trailer-boating experience. The Horizon Day Cat is a classic daysailer with room for you and your friends — a real Cape Cod cat with a shallow fin keel for added stability and windward performance. LWL 17 ft. 9 in. Sail Area 205 sq. ft.
Mast Height Above WL (sail up) 29 ft. 4 in. Mast Height Above WL (sail down) 23 ft. 4 in. The Legacy is for the sailor who is looking for a smaller initial investment and economy in all other factors such as maintenance, trailering fuel consumption, and berthing or storage. It is still built with Com-Pac Yacht's quality and attention to detail. This is an opportunity to own the best without the expense. The Legacy features the BoomTendr™ Quick Rig Sailing System. The boom and sail never leave the mast. Simply unsnap the mainsheet and fold the boom up to the mast, then fold everything down for trailering. This small yacht can be towed behind the smallest of automobiles and fits into a standard garage without any modification. There is room inside for two adults to sit or sleep. There is plenty of storage space and even a place for a porta-potty. The sliding companionway hatch and forward opening hatch provide plenty of ventilation. Sailing is what it is all about and the Legacy will not disappoint. The mainsail with lapping jib sail plan, in harmony with the keel centerboard configuration of the hull, delivers an efficient, stable, and uncompromising sailing experience. Designed for ease of trailering and of set up with the Mastendr™ System. 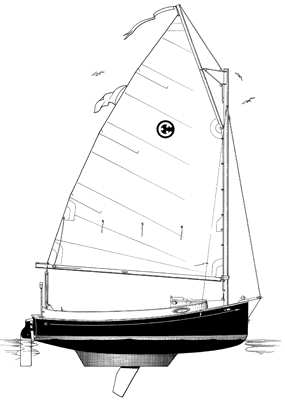 This new sloop from Hutchins has been designed with shallow 18" draft board up and 62" board down. The plum shallow entry bow allows this sloop to guide thru the roughest of sea with comfort. The cabin house is extended outboard giving interior space that is unbelievable for extended cruising. The transom is clutter free to provide easy boarding and the most convenient access to your outboard motor. You will find this “New Style” Sloop from Com-Pac will be fun and exciting to sail and cruise. Displacement: 2200 lbs. / 1000 kgs. The true delight of this boat is the brightness and view while in the pilothouse. The CP 23 Pilothouse from Com-Pac embodies a superb combination of trailerability and cruisability. LWL: 20 ft. 2 in. Draft: 2 ft. 3 in. Sail Area: 240 sq. ft.
Mast Height Above Water: 30 ft. The Com-Pac 23/IV offers accommodations and equipment which make her a most exceptional yacht. With a two-cabin layout for privacy, a standard-equipment, hide-a-way galley and shoal-draft keel developed from NACA low-drag, high-lift wing sections, the Com-Pac 23/IV is ready for extended cruising and gunkholing.